← XIV. the other ideas that were rejected. XV. the final excursion that decided my destiny. I had to make a decision that would determine my proposal location. And I decided to take a risk by heading over to Keppel Bay Marina (KBM) instead. It was a do-or-die choice but on hindsight I was glad I opted for KBM! With a heavy laptop strapped on my back, I braved the rain and crossed the road the other side. 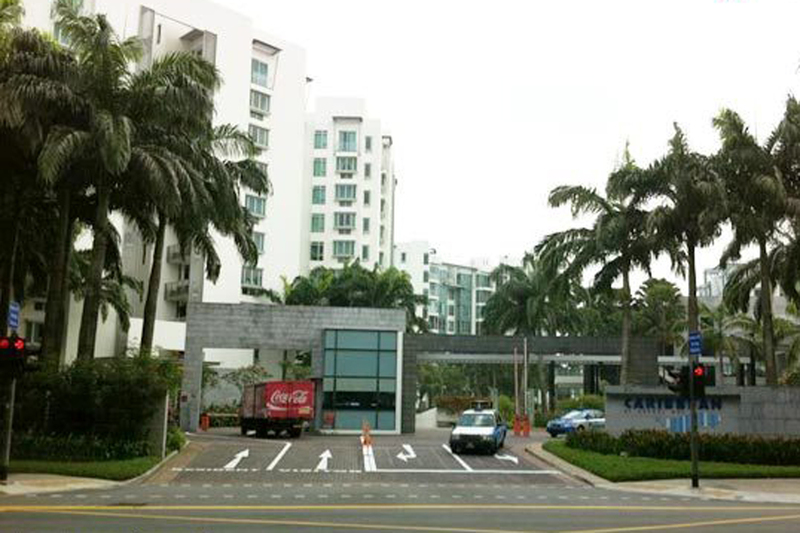 By the time I reach the entrance of the condominium, I was already drenched. This was no time to be a hero. I tried to find a taxi, but as we all know it, it is impossible to get a taxi at the evening peak hour during a thunderstorm. I saw the guardhouse of Caribbean and placed my trust in the goodness of humanity. So I walked from the traffic light to the entrance of the condominium and bravely approached the first security guard I saw. Hope filled my heart as I caught sight of a black umbrella that leaned against the wall beside him. “Boss, I know this is a strange request, but I’d like to ask if you are kind enough to lend me an umbrella. I’m heading into Keppel Bay Marina for a short while and I promise to return the umbrella in about 30 minutes.” I was practically begging him. “What’s the situation here?” His Chinese supervisor barked, and interrupted what would have been a prayer answered. “Sorry, we cannot lend you this umbrella.” Then he caught sight of a broken umbrella (with gaudy flowery patterns, no less) that an old lady had obviously disposed of. “This one, you want?” He asked, as a matter-of-fact. Would anyone please tell me on how I was supposed to respond? Aren’t we supposed to help our own kind? I lost faith in my race at that instant and I will never forget the cold-hearted look on the face of the bespectacled plump Chinese man in his late 30’s. How anyone could be so unkind baffles me until today. I could only muster a half-hearted “Thank you”, and walked away completely defeated. It was a double-whammy. Next chapter: the walk of shame. Posted on July 24, 2011, in A Walk To Remember, Picture Perfect and tagged Caribbean @ Keppel Bay, Keppel Bay Marina. Bookmark the permalink. 1 Comment.